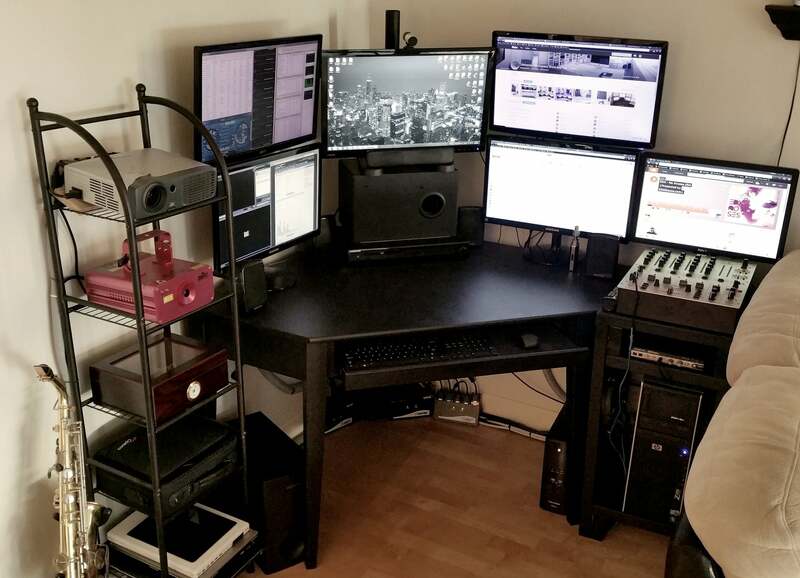 Dan, also known as HiTechTLS, shares this corner desk in his tiny apartment that manages to really pack in the gear. 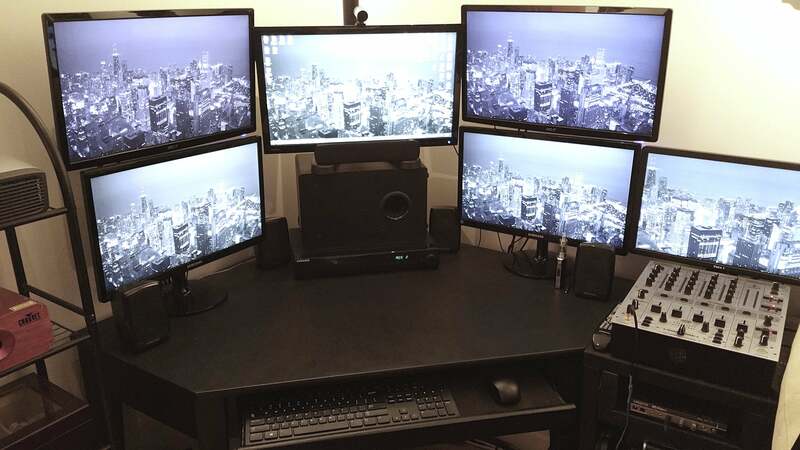 Not only does he have six monitors total, there's only one PC powering it all. Here's his setup. The shot above is pretty much just his desk surface and his displays, but you can see a pulled-out view of his corner setup below. 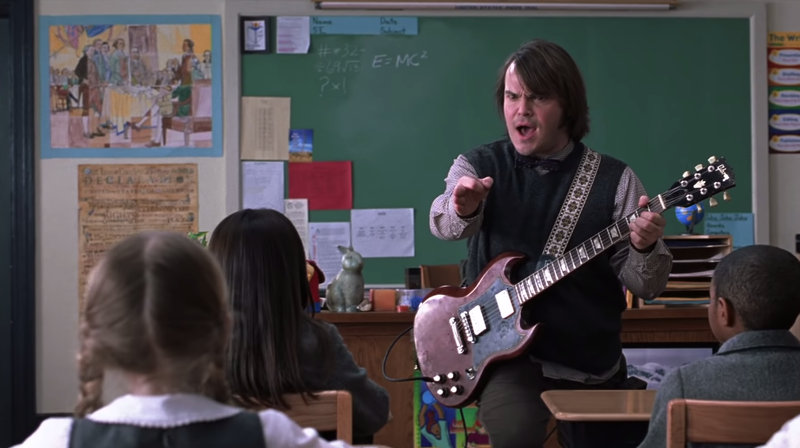 Sure enough, he's making use of the multi-monitor-friendly NVidia Quadro series of graphics cards, which means he uses those displays for watching things and managing multiple windows and applications, not necessarily 3D graphics. He's also a bit of a projector fan, with more than a few in that cabinet to the left there, although he only has one set up for use against a screen he has above his windows on the other side of the apartment. Whole Workstation with Desktop PC, 6 Monitors, 2 Soundcards, Mixer, 5.2 Stereo, Projector, Laser, and UPS. He explains in a comment just below that by "5.2" he really means that he has an extra woofer in the mix. You can read more about that — and the rest of his setup — at the link below. In addition to the corner workspace, the rest of his apartment setup is worth a look, although we won't cram in all the photos here. Check out this one of the rest of the apartment, and this one of the same view with the projector screen down. There's also this glamor shot of the server rack he's using to house the equipment in his home entertainment center, which is itself a pretty nice look.